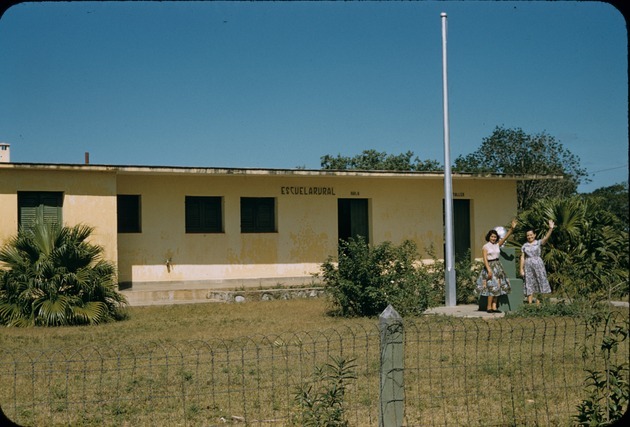 This is a typical school in the rural countryside which were generally ran by two teachers and classes were usually 15-20 students. The sign on the school reads "Escula Rural" which simply means rural school. There are two women waving to the photographer, are likely to be the teachers that run the school.